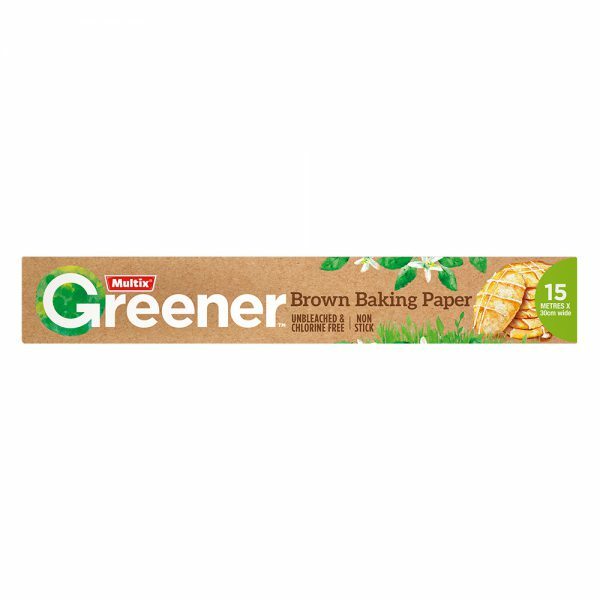 Multix Greener non stick Brown Baking Paper is unbleached & chlorine free. Size: 15m x 30cm wide. 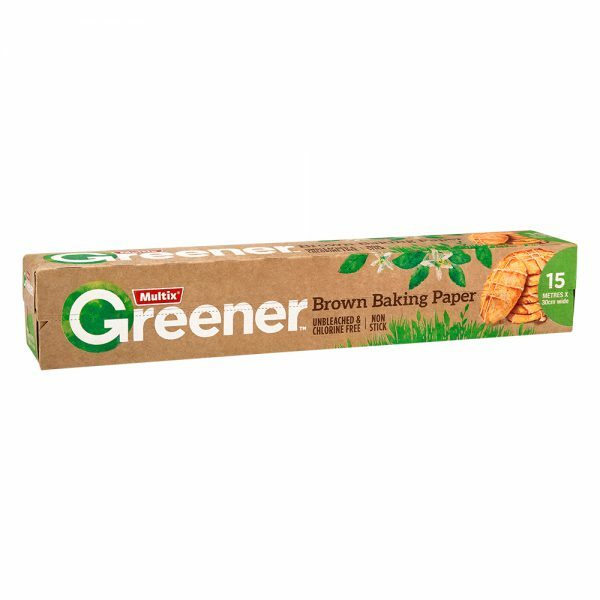 This unique brown baking paper is unbleached & chlorine free; sourced from European plantation forests, not native forest to reduce environmental impact. We all lead busy lives and it can be difficult to make the right choices when we are shopping. At Multix we want to make it easy to choose household products that reduce the impact on the environment. The range includes: degradable plastics, recycled foil & bleached, chlorine free paper. Multix Greener Brown Baking Paper is suitable for conventional and microwave ovens (heat resistant to 220°C/ 430°F). Multix Greener Brown Baking Paper keeps parcels and baked dishes moist and flavoured by sealing in juices.